Fondue doesn't get any easier than this. No expensive foreign cheeses (just regular ol' Swiss); no wines or exotic liqueurs (just plain ol' half-and-half). You don't even need a fondue pot. You can just heat the ingredients on the stove while you slice up cubes of French bread and apple, and, voila! Half an hour after you get home from the grocery store, you'll be enjoying your scrumptious meal, saucepan plunked in the middle of the kitchen table. Grate your cheese and mix it in bowl with flour, dry mustard, and seasoned salt. Set aside. In saucepan on the stove, heat half-and-half until just below boiling. (You should see it kind of start to move in the pan.) Drop a handful of cheese mixture into the liquid, stirring well. As cheese starts to melt, drop in another big handful. Keep adding and stirring until all cheese is used. Mixture should be thick and smooth. Now the fun part: you get to eat it! Serve with cubes of French bread, chunks of apple, and any other dippers that sound good to you. Hand everyone a fork and dip away. Thanks for all your wonderful ideas. You make my life so much easier. I love cheese. I love fondue. Do you have as easy a recipe for dessert? Chocolate fondue? I'm glad you're enjoying the recipes, Jana. 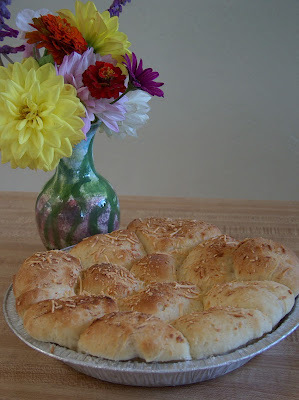 I love foolproof dinner ideas that can be put together quickly at the end of a busy day. 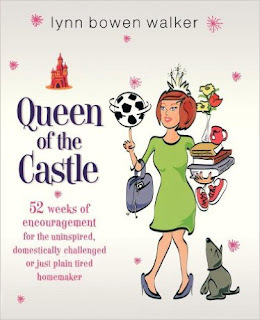 My very favorite chocolate fondue recipe is in the Queen of the Castle book on page 123. Basically, you stir together 4 T. butter, 8 oz. unsweetened chocolate, 1 3/4 c. sugar, 2 T. cornstarch, pinch salt, 1/4 c. light corn syrup, 13 oz. evaporated milk, and 1 t. vanilla. It makes a lot, but we LOVE the leftovers. We had the cheese fondue this evening, and I couldn't stop eating. Gosh, that's a keeper. Thanks.